When it comes to kitchen design, the hotter the better! If you enjoy cooking and entertaining, adding style with some professional and restaurant-inspired design elements can help take your kitchen up a notch in no time flat. Speed and ease are particularly important when preparing multi-course meals or large dishes. Look for high-performance equipment that lets you cook several things simultaneously. Combi ovens offer a great balance of features, power and long-term reliability. 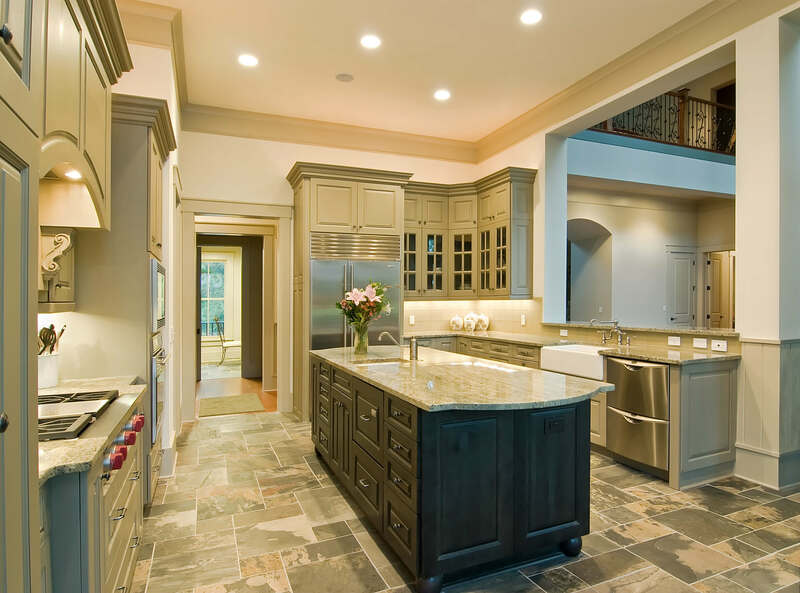 Your kitchen's layout should be based on the same working triangle all designers recommend. Create a tight work area that gets you from sink to prep space to cooktop with minimal footsteps. Be sure to keep a trash can close to the prep area too. The best kitchens take a layered approach to lighting. Good task lighting in prep and cooking areas keeps things safe. Recessed lights give off a pleasant ambient light. And stylish pendants over a dining table, island or peninsula focus lighting on the meal in front of you. Your design should be focused on making life easier. Think about professional touches that are designed to simplify and speed up the process: large dishwasher drawers, a pro-style prep sink and pot-filler faucet are all time-saving choices. When deciding which drawers and cabinets your various kitchen items should go in, consider how you use your space. Make sure to put your cooking and dining utensils in the most easily accessible places, since they are the most frequently used.